It was just the other day I blogged about a My Neighbor Totoro MOC, and now another great one has appeared! 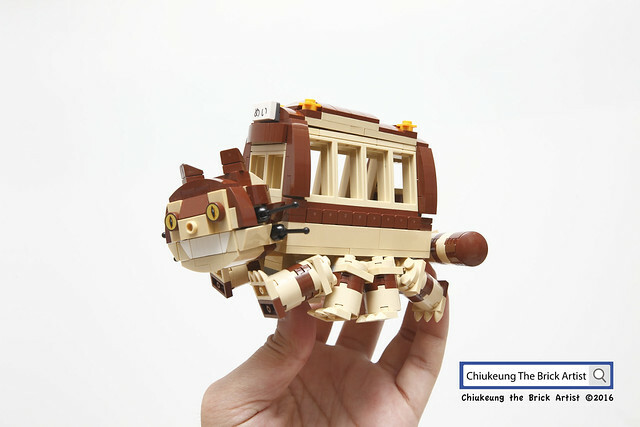 This creation by CK Tsang is based on the magical Catbus creature from the film. The use of the eyes from the Doctor Strange set is fantastic, and the Catbus' (slightly unsettling) expression is captured perfectly.